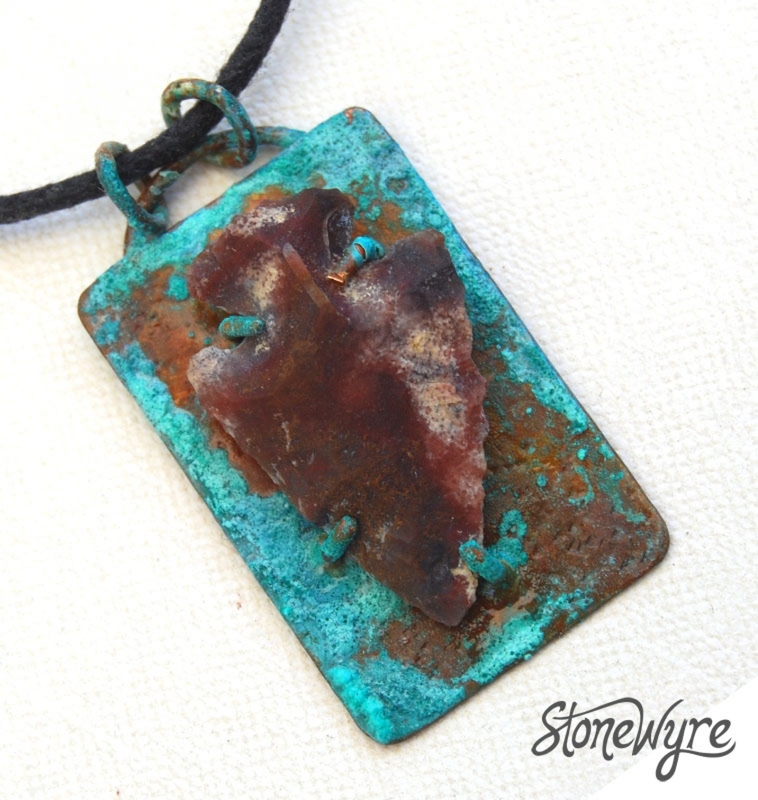 This knapped* arrowhead of rich brown fancy jasper is shown off on a rustic turquoise patinaed copper. See the process in my Gallery "Work in Progress". 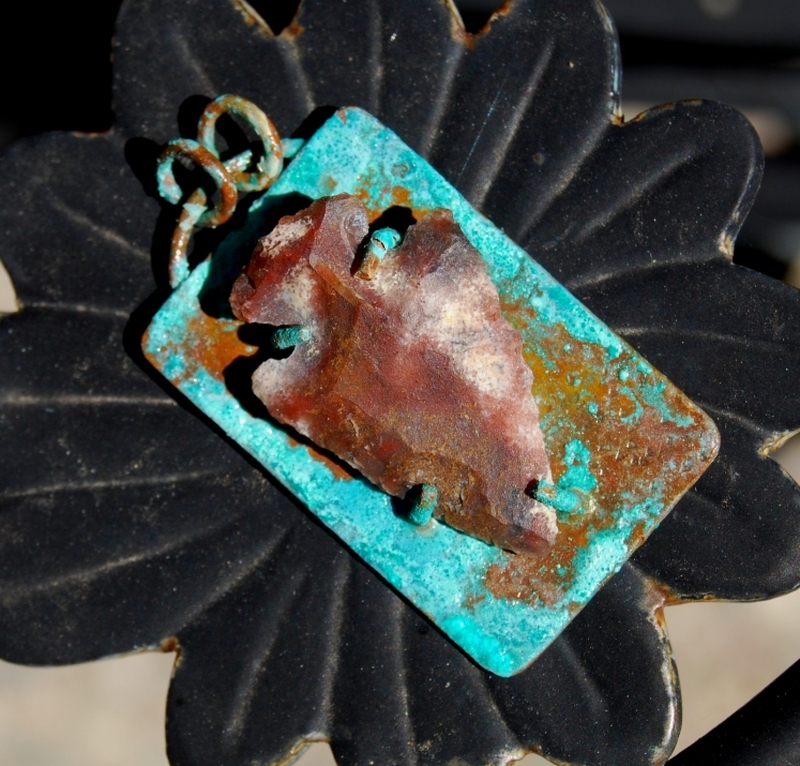 The pendant is about 2 inches long (including bail) and hangs from a 20-inch waxed cotton cord with copper clasp. *Shaped using flint and antler, but modern. The art was lost and then rediscovered by some hardworking college students.